Our weboffer is free of charges. If You have any questions please do not hesitate to contact us. 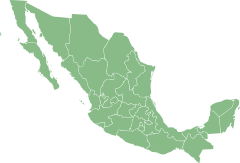 http://www.en.nuestro-mexico.com and all sites under this domain do not collect personal information such as names, addresses, or email addresses unless you wish to sign up for an account, in which case we must collect minimal contact information. We understand the confidentiality concerns that surround intellectual property. None of this information will be shared with outside companies.